Noted for the smooth and mellow balance between malt and hops, its dark copper color flashes garnet when held to the light. This was another gift from my buddy Gene. He picked this one up while traveling in Canada. I know nothing about this beer. 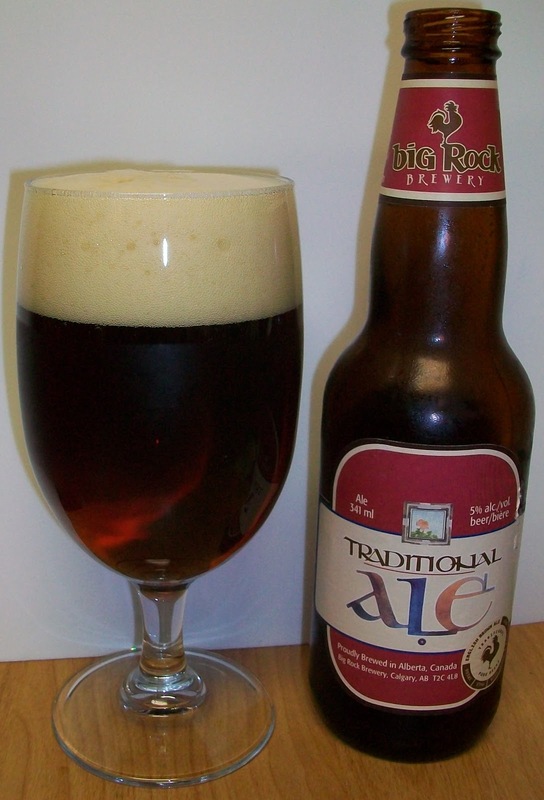 I have never even heard of Big Rock brewing before. I was surprised to see that this was an English Brown, now I’m really looking forward to trying it. The beer pours a clear dark amber almost brown with a fairly rich off white to tan head. The nose is delightful with rich sweet caramel malt aromas. This looks great and smells great so let’s see what this Canadian beer taste like. Well, not exactly disappointing but this first sip did not have the flavor that I anticipated from the color and nose of the beer. It’s not bad it just doesn’t have much going on. The taste starts out with slight caramel malt sweetness then a fairly bland middle of the sip. The back end is very easy drinking but again with no flavor. By the time you get to the finish you are finally expected some of that great flavor that was anticipated by the nose only to be disappointed again. Well, I guess that’s not fair, there is some flavor in the finish. There is a light caramel malt flavor along with a slight hop flavor. All and all this is not a bad tasting beer it is just a little disappointing from that wonderfully inviting nose. It has warmed quite a bit and has not picked up anything unpleasant. I’m going to give this a C. It is a very drinkable beer but it is not a very good English Brown. 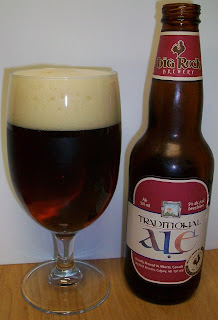 Although it has a gorgeous color and a wonderful rich malty nose it is severely lacking in flavor. Two out of three may not be bad for Meatloaf but it doesn’t cut it for this English Brown Ale.